With New Years just around the corner, and as someone who likes to plan ahead and know whats coming, I was starting to look out for calendars and diaries for 2015 so I could start adding in important dates. So when StressFreePrint* got in touch and asked if I'd like to review their personalised calendars I said yes please and thank you very much! I find personalised calendars are a really nice touch to something that could be quite boring and they give you a chance to be reminded of great memories each month. The other great thing about personalised calendars is they make great gifts, which is perfect with Christmas coming up. I'm going to be wrapping some up for my family so they can look at a new photo of me each month! StressFreePrint are an online printing company who are a little bit different from other companies. They're self proclaimed printing experts who have a real passion about producing great printed products and ensuring customers have a great experience, as it says on the tin they are Stress Free, and even have a 100% Stress Free Guarantee! They've got an easy to use and understand website, and a fast delivery service which you can track 24/7 to find out exactly where your package is. They even send you an email on the day of delivery letting you know what time your package will be arriving. Their customer service is great as well. I received a phone call from StressFreePrint as some of my photos weren't a very high resolution and they wanted to let me know they were a bit fuzzy and wondered if I wanted to change the photos. I thought this was a really great touch for a printing service to have as there is nothing worse than not knowing if your photos are going to look good once they've been printed. The calendars themselves are a really great quality, the paper is thick and glossy but not too shiny, and the photos are large but without leaving too little space for the calendar. The colours are lovely and bright and even though some a bit fuzzy due to them coming from Facebook, they still look great. Obviously I'd recommend using original files and not getting them from Facebook if you can, but they don't look bad at all, and StressFreePrint will be sure to check your artwork and let you know if any aren't going to look good. I can't wait to start filling in my calendar and I'm looking forward to 2015 so I can get excited to reminisce on some great memories every month when I flip over my calendar. 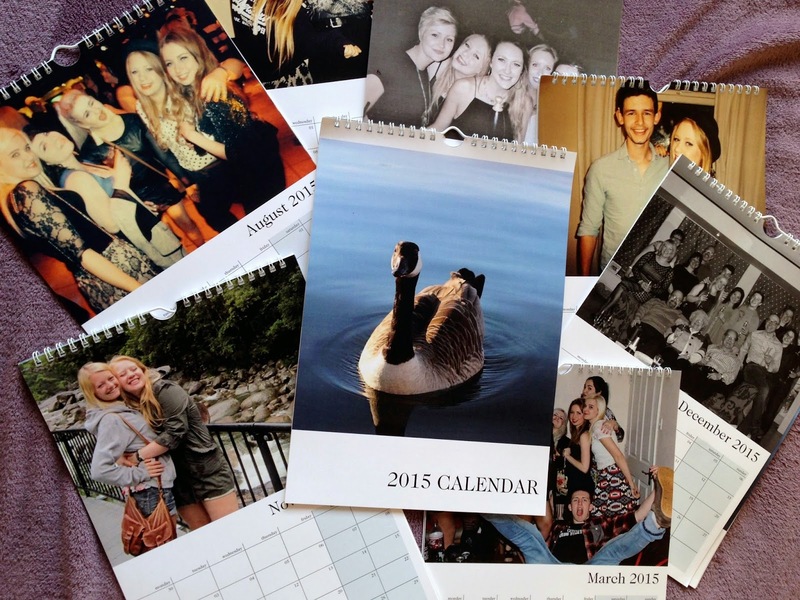 I'd definitely recommend StressFreePrint if you're looking to order some personalised calendars as Christmas gifts, or even just to have for yourself. They also do lots of other personalised items such as Christmas cards and business cards, they even do menus and invitations. I'll definitely be using StressFreePrint in the future as the service and quality is great and they really are stress free. Maybe It's time to get some business cards printed for Writing Essays With Wine! 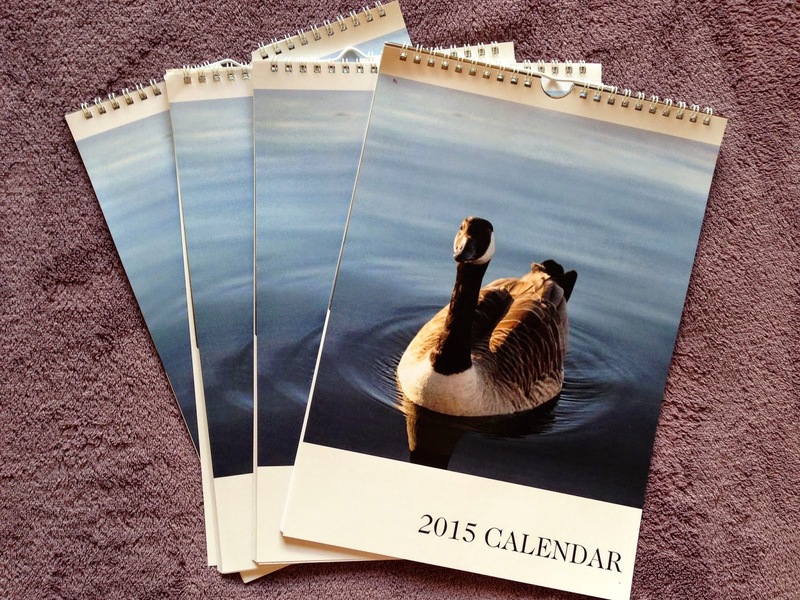 I was sent these calendars by StressFreePrint for the purpose of a review. However all opinions are my own.